How does the “Republic of Maharlika” sound? 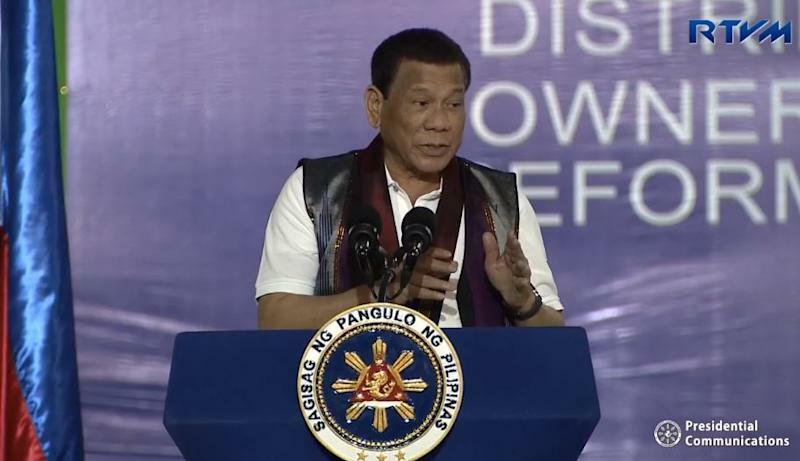 Philippine President Rodrigo Duterte said in a speech in Maguindanao yesterday that the country should be named “The Republic of Maharlika,” an idea that came from the late dictator Ferdinand Marcos. Duterte talked about changing the country’s name in a speech during an event where certificates of land ownership were given to beneficiaries of the government’s agrarian reform program. Duterte might have been reading the wrong history books. While Magellan arrived in the Philippines in 1521, it was Ruy Lopez de Villalobos who named the country “Felipinas” in 1542, in honor of Don Felipe who was then Spain’s crown prince. Former Senator Eddie Ilarde, a Marcos supporter, proposed to change the name of the country to that word by filing Parliamentary Bill 195 in 1978. Obviously, nothing came out of it. Marcos will always be associated with the word “maharlika” because he claimed that he led a guerilla unit in World War II called “Ang Mga Maharlika” (“The Maharlika“). However, the United States Army said that Marcos’ guerilla group was fictitious and that “no such unit ever existed” during the War, reported The New York Times. The same New York Times article also reported that there’s a dark side to this whole “maharlika” business. In 1950, the U.S. Veterans’ Association and the Philippine Army discovered that some Filipinos who claimed to be a member of the group Maharlika committed atrocities against their own countrymen during World War II. While Duterte may think it’s a cool idea to change the country’s name to something associated with Marcos, he should expect many people to reject his proposal. After all, Marcos is known for his corrupt government and human rights violations — there’s certainly nothing noble about that. This article, Duterte wants to rename the Philippines ‘Republic of Maharlika’, originally appeared on Coconuts, Asia's leading alternative media company. Want more Coconuts? Sign up for our newsletters!